they are ready to move on to their next life. 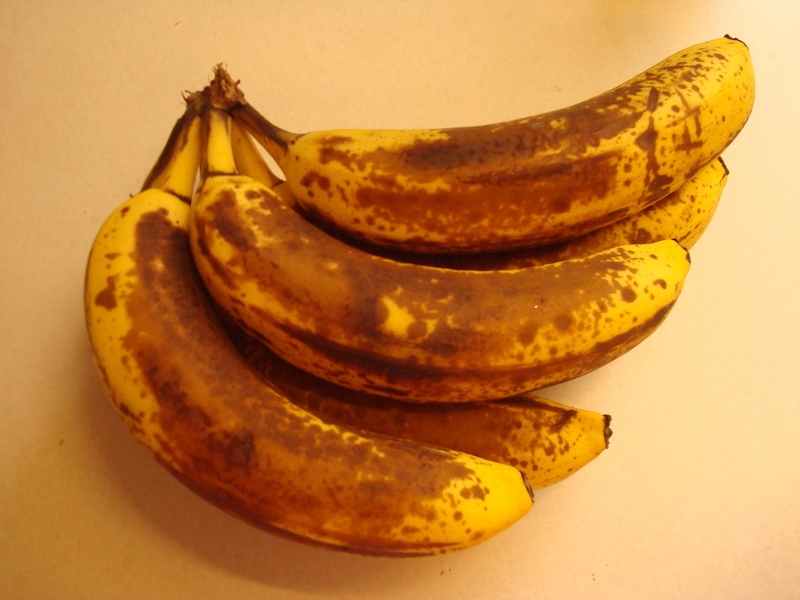 My two favorite things to do with past their prime bananas are smoothies and banana bread. If I had to pick one truly standby food item that is almost always available in my house it’s banana bread. My kids are so used to having it for breakfast that on the rare occasion that it’s been finished before I make another one they seem to be a bit confused. Doesn’t Mommy always have banana bread made? I know, they are spoiled, but wholesome homemade baked goods are spoiling in the best possible way. I love it! Whisk together flour, salt, baking soda, and baking powder in a small bowl. Whisk together banana, oil, eggs, sugar, and spices in a large bowl until smooth. Whisk in flour mixture until just combined. 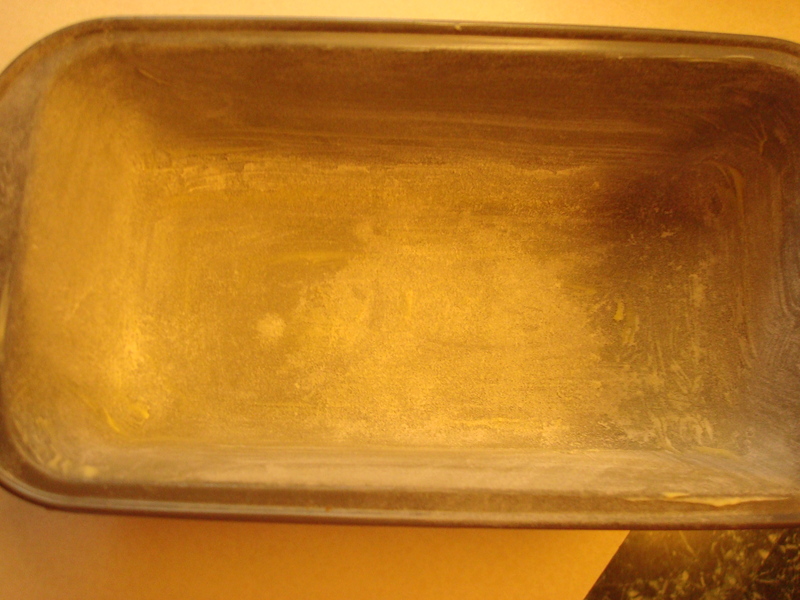 Fill a greased and floured loaf pan. 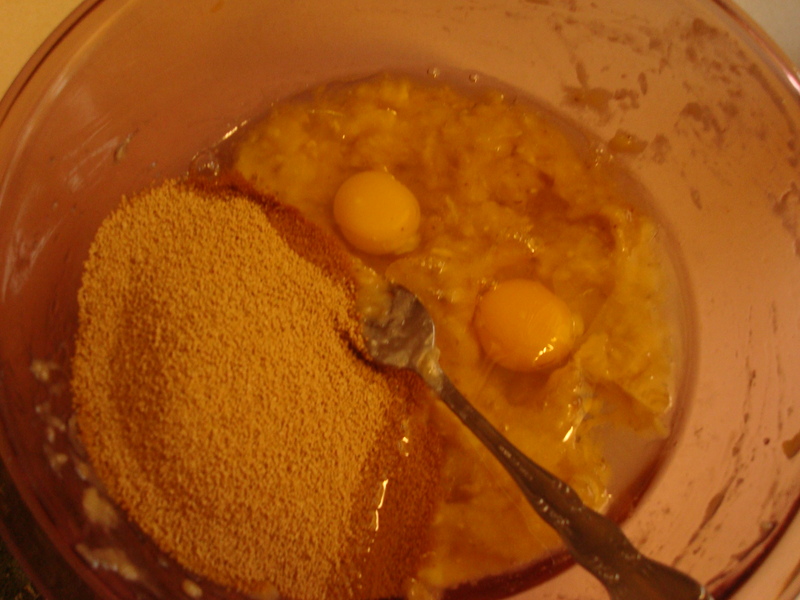 Sprinkle top with cinnamon-sugar mixture. Bake until puffed and browned and a wooden toothpick inserted into center comes out clean, 50-60 minutes. Cool in pan on a rack 5 minutes, then transfer from pan to rack to cool to room temperature. 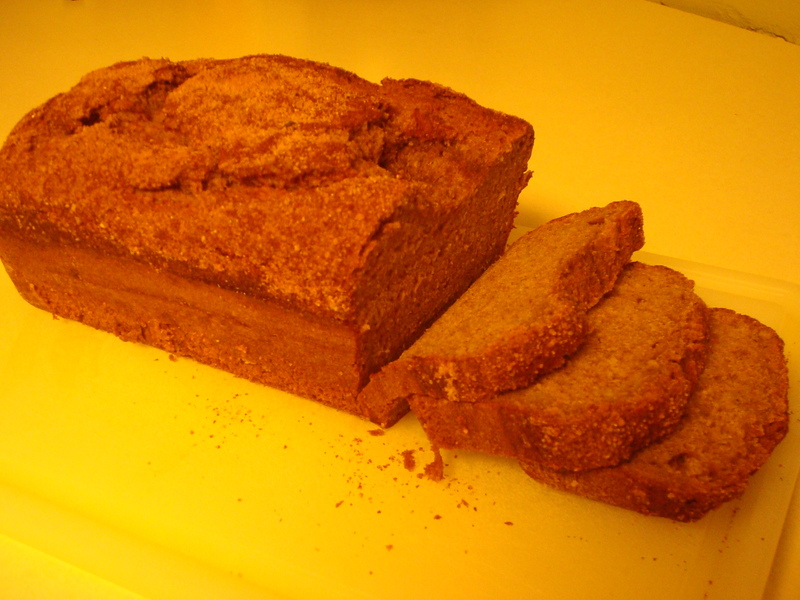 *I’ve tried this with whole wheat pastry flour, but it won’t hold together properly. I’m working on a whole wheat version of this I just don’t have it right yet, so stay tuned. It will show up eventually on here. 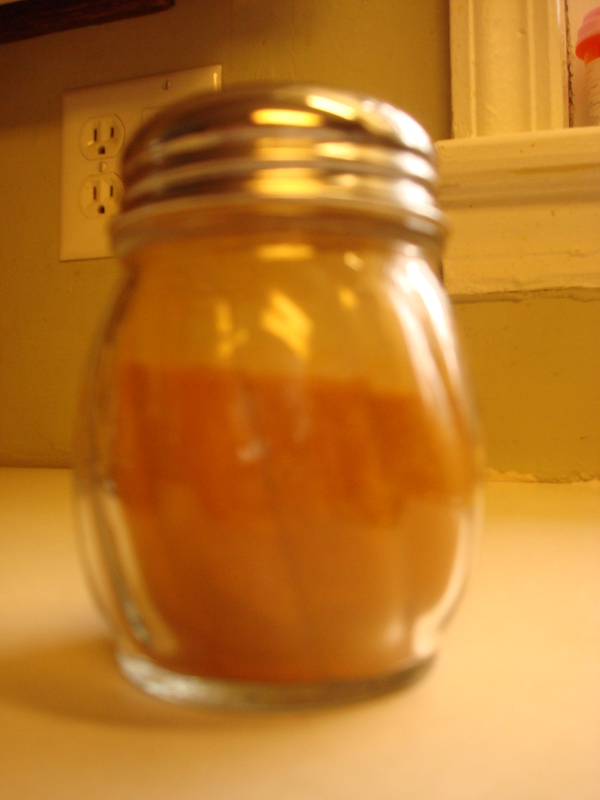 ** I try to use the least refined, least processed, natural sweeteners that I can find. I don’t like my kids eating chemicals (one of the reasons I do so much home cooking/baking to begin with) and I don’t like the blood sugar spikes that come from the refined sugars. These are a nice balance, and won’t trigger my personal “Mr. Hyde” to come bursting forth which is what happens when I encounter that “other fine white powder”.